As we previously told you, Sony Pictures recently won a hefty bidding war over the footage of the late Michael Jackson as he was preparing for his worldwide comeback tour. The footage was rumoured to be getting turned into a full-length movie that would hit theatres this Halloween. Well, folks, the rumours are 100 percent true. According to a press release from Sony Pictures, a movie titled This Is It will hit theatres on October 30, and will be based upon Jackson's Los Angeles rehearsal footage, with interview footage and, in some theatres, 3D portions from the planned show. "The world will see what our team was so fortunate to experience, which was the full commitment, passion and creativity that Michael put into this project. 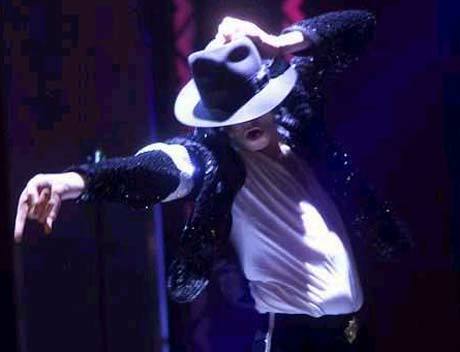 He was the architect of This Is It, and we were his builders," said concert director Kenny Ortega in the release. "It will also show Michael as one of the greatest entertainers in the world and one of the industry's most creative minds. This Is It was Michael's last theatrical work, and although it was still a work in progress, I think the footage will show that the process was something that Michael deeply enjoyed and that it was clear that he was on his way to another theatrical triumph." With This Is It due to hit just in time for Halloween, aren't the Michael Jackson costume ideas just a tad too obvious? Perhaps it'd be wiser to dress as your favourite John Hughes character instead.